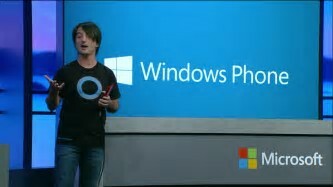 Joe Belfiore, the Vice President at Microsoft, most associated with presentations of Windowsphone and AI assistant Cortana, took a one year leave of absence in late 2015. Belfiore was then spotted using iphone and Android devices as he did a world tour with his family. Whether intentional or not, Belfiore’s absence seemed to coincide with what Windowsphone users dubbed “retrenchment”. Despite announcements of getting manufacturers to create new Windowsphones few stepped up. The most significant was a business phone from HP called the Elite X3. However little effort seemed to be made by Microsoft. Although the Windows 10 Mobile was now being updated over time and many early bugs had been removed the damage to the brand and device range by Microsoft’s almost casual approach to phone was being done. Device prices were lowered and by early 2017 Microsoft had no flagship phone offering for 2016 or 2017. Rumours emerged among Windows blog sites of a “Surface Phone” device coming that would be branded with the Microsoft line of Surface devices. However nothing was announced. Windows 10 Mobile OS was put into maintenance bug fix releases called “feature2”. The feature2 branch had one major characteristic – it had no feature improvements just bug fixes. No one at Microsoft would officially say “Windowsphone is over”. The language used was vague commitments to mobile experiences, supporting mobile, or having a mobile strategy. Most recently the strategy seems to be to release apps on every other platform. At the same time Microsoft, as a business, providing cloud services and enterprise software has never been so successful. Suddenly, in an answer on Twitter, Joe Belfiore pops up to admit phone is over. Ironically this meant Windowsphone got more news coverage than it had for months. This isn’t actually the end of the story. If Microsoft really mean it then potentially they have killed a whole platform area that they might need. The problem for Microsoft is that AI assistants are viable only by being everywhere. If Cortana is pushed only into the PC then that is an issue. Machine learning requires lots of queries from people. Not having any mobile device means you need to rely on people taking the additional step of installing your AI assistant over the native one. If consumers are buying devices primarily stacked with Google and Apple services then how do you hook them into your services. There was no magic bullet or key act that would have kept Windowsphone going but Microsoft’s sequence of late to market devices, constant reboots, lack of serious marketing muscle, failure to capitalise on Nokia strengths and much more sunk their phones. On the other hand, a more modest business concentrating on their strong regions like Europe and South America may have kept them in the game. I think being in first-party mobile devices may well be essential for the success of the new technologies that will, in my view, be largely about mobile.